Can I Have Celiac Disease If I Only Have Constipation? Can I Have Celiac Disease If My Main Symptom Is Constipation? You can have celiac disease if your main symptom is constipation, rather than diarrhea, and if you have chronic constipation along with other celiac disease symptoms, you should be tested for the condition. Decades ago, physicians used to think that celiac disease only occurred in children—specifically, only in children who appeared malnourished and who had frequent watery diarrhea. But years of further research has shown that many celiacs, both children, and adults, suffer from constipation or from alternating constipation and diarrhea. You have constipation if you have fewer than three bowel movements a week. Occasional constipation happens to many people, but your constipation is considered chronic if you're constipated for several weeks or longer. A medical study conducted in Ireland found that only 76% of patients had digestive symptoms at the time of their celiac disease diagnosis, including 56% with diarrhea and about 15% with constipation. One-third of the total group had abdominal pain. Another study found constipation in about 10% of children ultimately diagnosed with celiac disease. As that study shows, you don't even need to have gastrointestinal symptoms to have celiac disease—about one-quarter of people didn't. While constipation was less common than diarrhea (that so-called "classic" celiac symptom), it wasn't particularly uncommon. Plenty of people had it. A large Italian study of digestive and non-digestive celiac disease symptoms at the time of diagnosis found that 13% of people had constipation, 15% had alternating constipation and diarrhea, and 27% had so-called "classic" diarrhea. Other digestive symptoms found in that study included: bloating (20% of people had it), mouth sores (18%), and reflux (12%). Recent medical research indicates that children who suffer from constipation may actually have celiac disease. For example, doctors conducting a study involving children in the Netherlands found celiac was "overrepresented" in children who had chronic constipation and who weren't helped by laxative treatment. They concluded such children should be tested routinely for celiac disease. In another study, conducted at the Digestive Diseases and Nutrition Center at the State University of New York at Buffalo, doctors looked at all the children who had been diagnosed with celiac disease over a 10-year period. 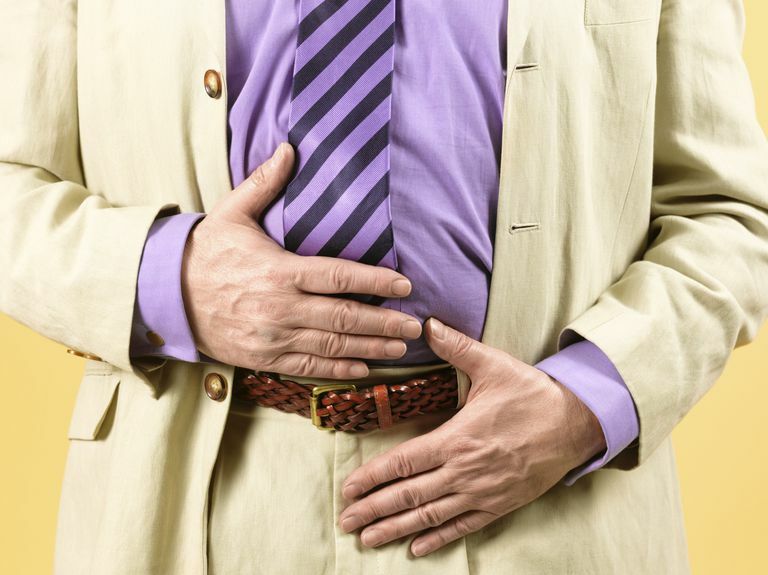 They found that more than half of those who were diagnosed had abdominal pain and 39% had constipation as symptoms at the time they were diagnosed. Only 31% of those children diagnosed had diarrhea as a symptom. The researchers noted that this pattern didn't fit into what's considered the classic appearance of celiac disease (diarrhea and weight loss). Finally, researchers in Turkey noted that celiac disease and constipation are the two most common problems seen by pediatric gastroenterologists. The researchers recommended that celiac blood tests be performed in young patients who have constipation and other possible celiac symptoms, such as malnutrition. Still, don't rule out (or let your doctor rule out) the possibility of celiac disease just because you're mostly constipated, or you have a mix of constipation and diarrhea. Just as it's possible to be overweight and have celiac disease, it's possible to have constipation and have celiac disease. Consider getting tested, especially if you have other symptoms on this extensive list of celiac disease symptoms. Egan-Mitchell B et al. Constipation in Childhood Celiac Disease. Archives of Disease in Childhood. 1972 April; 47(252): 238–240. McElvaney NG et al. Coeliac disease: clinical presentations, correlations of dietary compliance, symptomatic response and repeat biopsy findings. The Ulster Medical Journal. 1992 Oct;61(2):134-8. Pelleboer RA et al. Celiac disease is overrepresented in patients with constipation. Jornal de pediatria. 2012 Mar-Apr;88(2):173-6.doi:10.2223/JPED.2155. Volta U et al. The changing clinical profile of celiac disease: a 15-year experience (1998-2012) in an Italian referral center. BMC Gastroenterology. 2014 Nov 18;14:194.